Smart metering is part of broader package of measures to get consumers to be more aware of their energy usage and in the process hopefully help them to reduce it. It’s a simple concept – give people historical and real time data on their usage, what it is costing them and they are going to try and reduce their consumption. 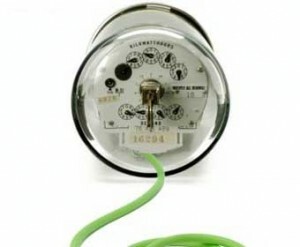 Plus it means the end of the meter reading person and estimated bills along with the introduction of real time tariffs. Include electricity, gas and water and it’s an unstoppable idea and common sense really. It’s going to cover nearly 50m homes and business locations in the UK. Think natural gas conversion, add transition to digital TV and include Electronic Patient Records and you’ve got some idea of the scale and complexity of this project. So let’s just focus on one small but crucial part of this – how to provide two-way communication to electricity smart meters located in every household and business premises across the UK. Why two-way? Well, aside from any error correction requirements, power companies want to be able to utilise variable tariffs dependant on demand – so the price per unit at 07:30 might be higher than at say 11:00 that same day. A sort of real time version of ‘off peak’. This requires updating the meters perhaps several times a day depending on the way the smart meters work. Using domestic or business broadband can be problematical because it isn’t a controlled connection – for example if you use one of those smart plug adaptors then your router might be turned off when you turn off the PC, in which case the smart meter would disappear from the network! Power line communications looks more promising but something on this scale hasn’t really been done before and there seem to be many issues. So perhaps wireless is the most suitable solution – but what sort of wireless? Use a current network – such as cellular, satellite, terrestrial broadcast infrastructure or build a new network dedicated to smart metering. This is the big question but not unexpectedly it gets hard to separate fact from sales pitch. And nobody has designed, built and operated such a network on this scale before – so we’re heading into unchartered territory. Currently the user requirements for such a network have not been published as the formal procurement process has yet to start, but we can guess the following based on the fact this is basically part of a billing system for what is considered a part of our critical national infrastructure. The smart meter will probably incorporate the wireless unit including antenna and this unit will be installed by an electrician in the same location as the current meter. In older houses and buildings these are typically in cellars, under the stairs and so are probably in the last location you would choose to ensure good wireless connectivity! Of the existing networks cellular is probably the most suitable – after all this is just M2M on a grand scale, an area that the network operators are keen to grow. Satellite probably fails the common sense test due to the location of the meters – installing a satellite dish on properties is not part of the plan! The utilities already run SCADA networks to control their switches and valves and to monitor flows – but these are slow speed systems design for low volumes of terminals so these networks wouldn’t scale up. The key questions for cellular are capacity, coverage and resilience. Like most M2M services the data volume per meter per day is probably quite low – especially compared to smart phone usage which is currently the holy grail of service providers. So even in dense urban environments capacity shouldn’t be a problem. Coverage however is likely to be challenging – indoor coverage even for phone use is often a problem hence the reason why femtocells were developed. Coverage under the stairs and in a cellar just makes the problem worse. So the coverage question is somewhat unquantified at the moment but our day to day experience suggests there are issues that need to be addressed here. Resilience of the service no doubt set against tough service level obligations under various failure scenarios will also present significant challenges to a public cellular network operator. Whilst generally cellular infrastructure is very reliable, smart metering presents a different environment and unique challenges. Much work and risk analysis will need to be undertaken against the specific service level requirements of the smart metering network in order for a cellular operator to determine whether they would be prepared to contract to such obligations and stand behind the financial consequences of failing to meet them. Then just to add to the interest there’s the question of transition to 4G and the possible ceasing of 2G, 2.5G & 3G services within the lifetime of the smart meter network. Technology refresh at the premise level would be something to try and avoid. So a lot of questions to work through and no doubt some unique solutions will be required to enable a cellular network operator to provide a nationwide service suitable for smart metering. Looking at a new network build then whilst you are starting from a green field and so will end up with the optimal network the capital costs and operational costs start to be a major concern as does the availability and cost of suitable spectrum. Plus there is the general hassle and risks associated with building a new national network. Given the number of shared antenna sites available it is unlikely that many new sites will need to be constructed but antennas, base stations, IP networking equipment and backhaul will need to be installed at several thousand sites. Ideal spectrum is probably around the UHF range – balancing range against in building coverage. Digital dividend spectrum would therefore suffice. Again trials will need to be done and a much larger series of measurements undertaken right next to the existing meters to assess just how many base stations will be required to achieve the necessary blanket coverage. Then there is the question of which wireless technology should be used – a proprietary technology, WiMAX, Wi-Fi, Mesh or more traditional UHF mobile radio – or perhaps a combination. In many ways this decision is tied to the spectrum to be used and the architecture and signalling protocols used by the smart meter system itself. Currently most smart meter vendors appear to use proprietary signalling schemes bringing the potential for customer ‘lock in’. For a project of this size multiple suppliers in open competition for the smart meters themselves will deliver cost benefits as well as minimising the risks of delivering the sheer quantities needed. So perhaps some open standards are called for to allow the smart meter market to develop rapidly without concerns about the technology choice. What is clear is that the choice of spectrum, the type of wireless technology, the network architecture and the over the air signalling scheme need to be closely tied together, modelled and field tested to ensure that the system is scalable and robust in the real world. Whether this new dedicated network build approach turns out to be a lower cost solution – in terms of total cost of ownership over the lifetime of the network – compared to using a public cellular network is a tough call and both options need to be looked at in depth using real costs and well founded engineering assumptions. Either way it’s a great opportunity for many businesses and consortia have already been formed and are being formed to bid as you read this. The Government is pushing to accelerate the rollout of smart metering in order to deliver the benefits earlier – indeed since writing this blog over the last few days fifteen new documents – amounting to several hundred pages – providing further detail on the project have been released by the Department for Energy & Climate Change and are available here . The procurement process is planned to formally start in the autumn. The smart metering project is hugely complex and the communications network is just one small but equally challenging piece with many questions currently unanswered. We all know that large projects such as this typically face huge cost increases and delays downstream as forecasts, optimism and expectations give way to Murphy’s Law, changes in the requirements and the gritty reality of the implementation team. If only 1% of the installed meters fail to appear on the network or have unreliable connectivity that could be almost 0.5 million locations that have to be visited and fixed. That’s going to be expensive! Oh and we haven’t even talked about how the electricity meter is going to communicate with the gas meter and water meter.